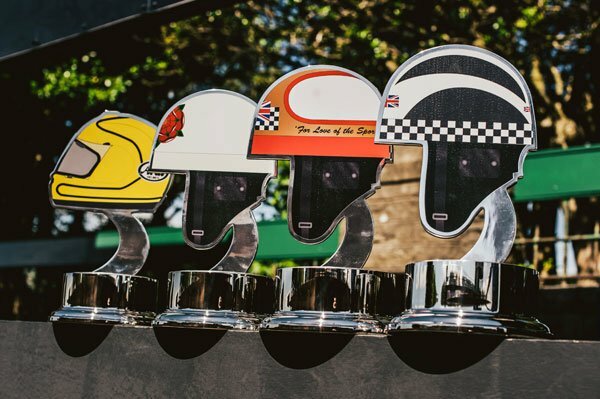 The trophies will be awarded to recognise class wins within the races where there is more than one class competing in the race and fastest single cylinder machines in a race. 'The Joey Dunlop Classic TT Trophy' will be awarded to the rider of the first 750cc machine to finish the Motorsport Merchandise Formula 1 race on Monday 25th while 'The Phil Read Classic TT Trophy' will go to the first 250cc machine in the Monday's Okells 350cc Classic TT Race. The other awards - the 'Mike Hailwood Classic TT Trophy' and the 'Geoff Duke Classic TT Trophy' will be awarded to the first single cylinder 500cc machine in the Bennetts 500cc Classic TT race and the first single cylinder 350cc machine in the Okells 350cc Race respectively.